From time to time you get an urge to listen to a particular song. Sometimes you just do not care about a genre or what others are listening to. Sometimes you have an urge to recall a moment in time, in your life, a feeling, and a particular song is just what you need to recapture that moment in time. It’s times like these I reach for Grooveshark. 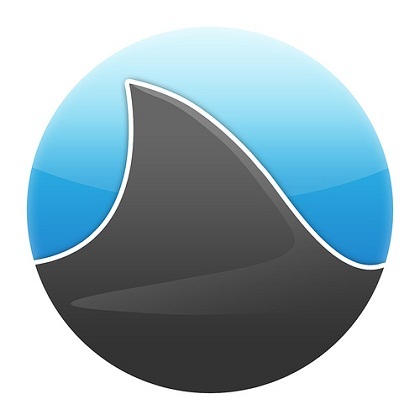 Grooveshark is similar in some respects to websites like LastFM and Pandora. Similar in the fact that they act much like a radio station you can listen to when you feel the need for musical expression. Many persons are familiar with LastFM and Pandora, and there are many diehards out there. Websites like LastFM and Pandora are handy and respectable in their own rights. At times I want to feel like I am listening to a radio station who plays the music styles I want. And yet, it is lacking something I need. A little unknown fact to many is I hold dear many 80’s songs for personal reasons. The imagery and emotions they grant me are unique and immersive to me in ways which can only be replicated through wrapping myself back in the song. This is where Grooveshark comes in. I won’t hide it, I wanted to listen to “Lady in Red”, “Bring on the Dancing Horses”, “Sweet Dreams”, “She Drives Me Crazy”, “Bizarre Love Triangle”, “Jessie’s Girl”, “Birds Fly (Whisper to a Scream)”, and “I Think We’re Alone Now”. Sure, 80’s city, but these songs were a plotted path on the map which is my past. My history. Pandora didn’t do any good as these are all 80’s but not necessarily related songs. Same goes for LastFM. This is where Grooveshark comes in. I logged into my free Grooveshark account, typed in my list of songs, added them to “My Music” and began to listen. After realizing I enjoyed this particular line up (and adding a few more for the sake of depth of my journey) I then saved my playlist so that I could return on this trip at anytime. LastFM and Pandora cannot hold a candle to this. On my last project we would spend some additional time doing OT. Sometimes while waiting for builds (wha!?) you have a little downtime. As one of the few who had speakers at the time I would take requests. More often than not the request was fulfilled by Grooveshark and we would pump up the jam (an actual request mind you) and hit a rolling list of additions to the playlist. Every night was a discoteque and everyone was invited to participate. If someone didn’t like the line up, they were encouraged to change the vibe and give us a selection which moved more along to their tastes. It worked. Everything from “Chairlift” to “Eddie Murphy” hit the list. Additionally, Grooveshark isn’t completely devoid of the traits of its competitors. Grooveshark has both a way of seeing who’s listening to what by checking out other peoples radio stations, but also selecting a genre to fill your taste. Personally, I’d much rather listen to my own music anywhere. Oddly enough, Grooveshark has this too! You can upload your OWN music through the online tool and listen anywhere you’d like. You can purchase the songs through various methods if they are available as well as post the songs you are listening to on your social networks. Sure, it isn’t as robust in the fields of radio-like execution as it’s competition, but don’t let this one get away. You might regret what it has to offer. Grooveshark is just a phenomenal way to express yourself the way you’re used to. The music you remember, new ventures in new avenues, checking out music before you buy, the whole nine. And it just keeps getting better. I’ve personally converted three individuals to Grooveshark, two of which I can attest were diehard Pandora/LastFM fans. Grooveshark is still young and growing. And it can only get better with age, much like my 80’s music. “Don’t You Forget About Me” springs to mind when thinking about Grooveshark. Don’t worry Grooveshark, I will not be forgetting about you any time soon.